For practitioners on the paths of Dzogchen and Mahamudra, one of the greatest joys is to personally receive oral instructions from a realized teacher. The excitement of being able to train based on that advice is further enhanced by the stimulation and support that guidance manuals provide. 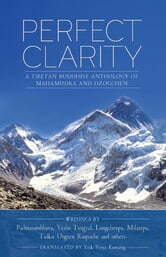 All of the selections presented in Perfect Clarity offer incredible teachings that are inspiring and vital. Pith instructions are so simple and direct that we can easily apply them without fear of mistakes. These days, the most effective style of teaching is not lengthy scholarly explanations but rather direct guidance manuals The Dzogchen tantras themselves were written in a style that shrouds and conceals the meaning so that only a master who is extremely well-versed in oral instructions and treatises is able to clarify the meaning. On the other hand, based upon oral instructions a guidance manual is a short, comprehensive teaching written in a clear and simple manner. Such summaries of the Mahamudra and Dzogchen teachings contain all the teachings that a worthy practitioner requires to reach the state of primordial enlightenment in this very life. 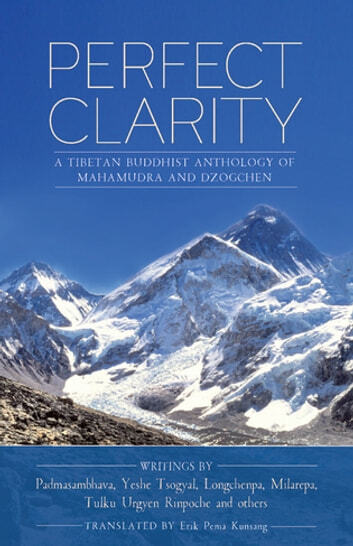 The amazing collection in Perfect Clarity is rounded out by an introduction by Tulku Urgyen Rinpoche, a preface by Marcia Dechen Wangmo, biographical data of the authors, a glossary, line drawings and photos and Tibetan source material references.